During a December trip to Paris, our first night in the city was unusually frigid and drizzly, ill-timed considering I was already fighting the onset of a cold. After spending several hours outside walking around the Christmas markets, we were in need of proper nourishment and more warmth than a cup of vin chaud could offer. Our savior was a cozy Left Bank bistro with an interior that was reminiscent of a Swiss chalet. While the restaurant was pushing its fondue special to combat the cold weather, the humble soupe al’ oignon was the comfort food I was seeking. It was quite possibly one of the best bowls of soup I’ve ever had, borderline life changing, with its sweet, hearty onions and warm, gooey Gruyere cheese. Determined to recreate a fraction of its awe-inspiring deliciousness (and pay homage to French culinary legend Julia Child), we tried our hand at the soup for our French-inspired New Year’s Eve fête. The verdict? It’s a lengthy process but worth the patience and effort. And just like fine wine, we found that the soup gets better with time. Leftover lovers rejoice. Cover and cook the onions for about 15-20 minutes until they have “sweat down” and are tender and translucent. To caramelize the onions, turn up the heat to medium high and cook for about 45-60 minutes until the onions begin to brown and reduce significantly, stirring minimally. 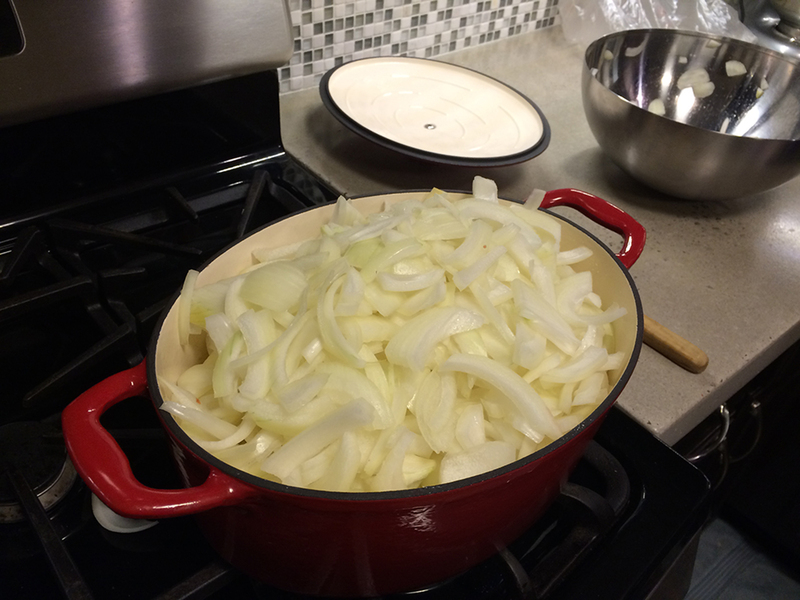 Add wine and scrape the bottom of the pan to loosen any onions that might have stuck. Turn the heat to high and cook until the wine reduces to a syrup-like consistency. Add beef broth, bay leaf, parsley, thyme, salt and pepper, then reduce heat and simmer for 15-20 minutes. Before removing the soup from the heat, add a splash of cognac and stir the mixture. Meanwhile, turn the oven to broil and lightly toast the bread on one side only, about 1-2 minutes. Let cool for a few minutes before serving and enjoy! 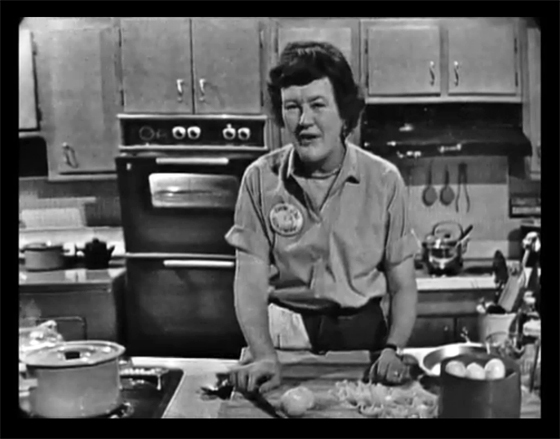 Recipe adapted from Julia Child.